The Move Over Law has been exercised in most US states for the better part of a decade, yet not every driver knows exactly what the law is or who it protects. Let’s take a look into this important law and determine if it has been implemented in your area. The Move Over Law is a law that protects emergency responders and other personnel working on the side of the road. 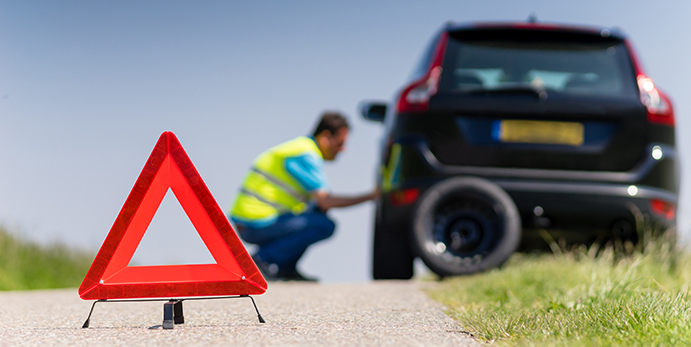 The extent of whom the law protects differs state by state, but generally it’s a good idea to always adhere the same rules for all roadside personnel, emergency responders or other. If you are unable to safely move over, you must slow down to a reasonable or specific speed limit, depending on local laws. Each state has its own state-specific adjustments to the Move Over Law. It’s important to know what your state’s law is. Does My State have a Move Over Law? As of 2013, all fifty US states have Move Over Laws in effect. Washington D.C. is the only area in the United States that does not currently enforce Move Over Laws. Since the early 2000’s, states have been gradually implementing local laws to protect their emergency responders. The last state to effectively do this was Hawaii, which implemented their own Move Over Law early 2013. Every state has their own adjustments to the law, some extending protection to all pulled over vehicles while others require drivers to slow down to a specific speed while passing. Refer to this list to check your own state-specific adjustments to the Move Over Law. Just like every state has its own local adjustments to the law, every state also has its own penalty for breaking the law. What are My State’s Penalties for Breaking the Move Over Law? Each state has its own penalties for breaking the law. Some state penalties include cash fines, license suspension, jail time, or a combination of all three. You can select the corresponding state on the Move Over America website for a brief description of state-specific penalties, or contact your local DMV for up-to-date information regarding the law. Regardless of what the penalties are, though, it’s still a good idea to always change lanes or slow down for emergency vehicles. Doing so could save lives! What’s Next for the Move Over Law? The Move Over Law is continuing to grow in awareness and is being enforced like any other law. Many drivers who have claimed they weren’t aware of such a law existing have been ordered to attend defensive driving school to be refreshed on new or updated laws. Ignorance is not a proper excuse to break the law. Periodically check with your local DMV to see how the ever-adapting traffic laws are being adjusted to ensure consistent safe travels for everyone.